For the 2017/2018 school year, Central High School’s School Improvement Rating is Maintaining. 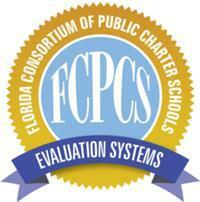 To Search and Compare School and District Data visit www.FloridaStudentsAchieve.org. Our school provides services to any student who is pursuing a standard diploma and meets our age requirements of 16-21 (or 22 if ESE). We offer ESE services in the general education setting. We provide direct services for language and deaf/hard of hearing/vision impaired. The Central High School Board will meet at the dates below. Notices for re-scheduled meetings or additional meetings will be posted on the school’s website and posted at the school. All meetings will be held at Palm Bay Prep Academy, 1104 Balboa Ave., Panama City, Florida unless otherwise noted.